Sriracha sauce arrived on the hot sauce scene a few years ago and swept away the competition. Now, the new kid on the hot sauce block is gochujang. Dating back to 17th-century Korea, gochujang is arguably the keystone ingredient in Korean cuisine. Its rich flavor and distinctive, lustrous red color are unmistakable. Unlike many Western chili sauces that have heat and not much else, gochujang begins with hot chilies but combines those chilies with miso and sweet rice to make a rich, complex-tasting paste that has heat, sweetness, and umami all packed into one package. 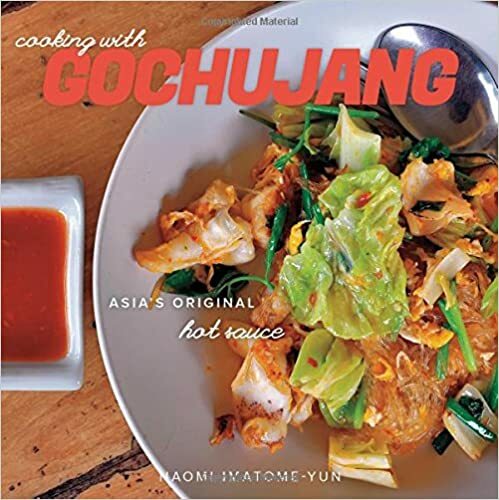 Cooking with Gochuchang will open your eyes to the secret chefs around the world have been discovering―that this traditional Korean ingredient and its myriad off-label uses can transform your kitchen. From eggs to meats, rice to vegetables―and even cocktails―your taste buds will never be the same. The Meat Club Cookbook: For Gals Who Love Their Meat!